In short, I’m not a fan of annuities that use a fixed cost of living adjustment (rather than actually having the payout tied to the consumer price index) as a way to protect against inflation. The reason is that, as it turns out, they don’t actually protect against inflation! They just protect against a long life. As of this writing the Income Solutions website (which I access via Vanguard) shows that a 65 year old male can get a fixed lifetime annuity paying 6.83%. Or, he can purchase an annuity with a 3% annual increase in the payout, with a payout that starts at 5.02%. * And, according to the SSA’s most recent period life table, a 65 year old male has a total life expectancy of nearly 83 years. The annuity with the 3% COLA will pay a total of $126,087 (i.e., 97.2% as much as the annuity without the COLA) over the person’s expected lifetime. But what if there is inflation? That’s what we really care about, after all. The annuity with the 3% COLA will pay a total of $103,896 (i.e., 95.4% as much as the annuity without the COLA) over the person’s expected lifetime. But is that just a fluke? The table below shows other scenarios, with various ages at death along the left-hand side, and various rates of inflation along the top. The value in each cell shows the ratio of total inflation-adjusted dollars paid by the annuity with the COLA to total inflation-adjusted dollars paid by the annuity without the COLA. So, for example, if the person lives to age 88 and there is 4% inflation over that period, the annuity with the COLA will have paid 99.5% as much as the annuity without the COLA. The key point here is that, the higher inflation is over this person’s lifetime, the worse the annuity with the COLA does as compared to the annuity without the COLA. Why is this? It’s because the annuity with the COLA has a greater portion of its payout occurring later in the annuitant’s life (due to the fact that its payout starts lower, but climbs over time). And in a scenario in which dollars are declining in value over time due to inflation, the annuity that front-loads the payout (i.e., the annuity without the COLA) does better. But annuities with fixed cost of living adjustments do not protect against inflation. Not only do they not keep up with high rates of inflation, they actually perform worse in the face of inflation than annuities without COLAs. If you want an annuity that provides true inflation protection, you have to buy one with payments that are tied to the actual rate of inflation. *The payouts for females are slightly lower given longer life expectancies (6.35% for a fixed lifetime annuity and 4.58% for one with a 3% annual increase), but the analysis is essentially the same. This is important because many people look at waiting until age 70, decide that 70 is too far in the future, and therefore default to claiming as early as possible at 62. That’s unfortunate because, even for people for whom claiming at 70 doesn’t make sense, claiming at 62 is still usually a mistake. 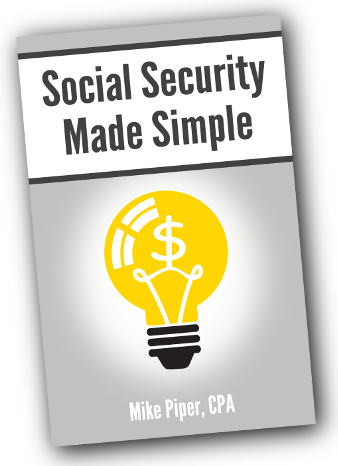 For example, if you are an unmarried person, currently age 61 and trying to decide whether or not to claim Social Security ASAP at 62, you don’t want to compare claiming at 62 to claiming at 70. You want to compare claiming at 62 to claiming at 63. When we do that, we can calculate that the breakeven point is age 78. (That is, if you live to age 78, you are better off having claimed at 63 than having claimed at 62.) Using the 2011 actuarial tables from the SSA, we can calculate that for an average 62 year old male, there is a 67% probability of living to age 78. For a 62 year old female, there is a 76% probability. Conclusion: For most unmarried people, it makes sense to wait at least until 63, because there is a much greater than 50% probability of living to the breakeven point. Then, at age 63, we would want to see if it makes sense to wait until 64. The breakeven point between claiming at 63 and claiming at 64 is age 76. Using the same actuarial tables, we can calculate that for an average 63 year old male, there is a 74% probability of living to age 76. For a 62 year old female, there is an 82% probability. Conclusion: It probably makes sense to wait another year. Investment return earned on early-received benefits. In the above discussion, we’re assuming that early-received benefits earn a 0% real return (i.e., they precisely match inflation). Given that the yields on TIPS (i.e., the investment with a risk level most similar to that of Social Security) are currently at or near zero, that’s a pretty reasonable assumption. If real interest rates were higher, the breakeven points would be pushed back somewhat. Tax planning. The specifics vary from person to person, but in most cases tax planning is a point in favor of waiting to claim benefits, because of Social Security’s tax-advantaged nature. Longevity risk. For anybody who is concerned about running out of money due to a very long retirement, delaying Social Security is often a good decision, even if there is a less than 50% probability that they will live to the breakeven point in question. When Does it Make Sense to Do a Roth Conversion? 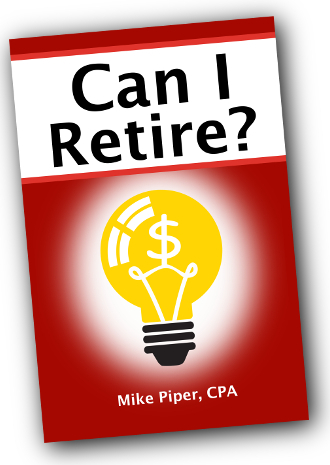 “I have read that a Roth conversion is a good idea if I am currently in a lower tax bracket than the tax bracket I will be in during retirement. But real life appears to be more complicated than that, as we will be in differing tax brackets from one year to another during retirement. And I don’t think our situation is particularly unusual. With Roth conversions — and tax planning in general — the goal is often to “smooth out” your marginal tax rate, to the extent possible. Calculate your marginal tax rate in each year going forward under the dummy strategy. Look for years in which your marginal tax rate is projected to be at its lowest point. Attempt to shift income from high-marginal-tax-rate years to low-marginal-tax-rate years (e.g., by spending more from tax-deferred accounts or doing Roth conversions in a given year in order to increase taxable income in that year and reduce it in future years). Repeat steps 3 and 4 until a) your marginal tax rate is projected to be fairly steady going forward (such that you would not benefit from further shifting income from one year to another) or b) you are out of options for income-shifting. So, for example, in the case of our reader above, his marginal tax rate will likely be at its lowest point in the years after his wife retires and before they start receiving Social Security. So it would likely be advantageous to increase taxable income in those low-tax-rate years (by spending from tax-deferred accounts and likely doing Roth conversions) in order to reduce taxable income in laters years in which they would otherwise have a higher marginal tax rate.